For in-store inquiries, use sku #2471587. 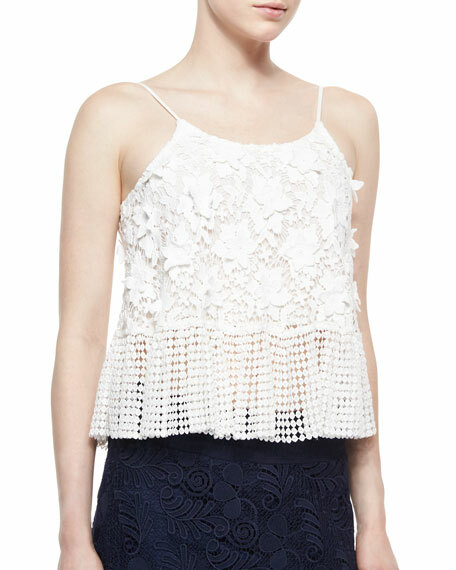 Hannah Banana woven top with tonal 3D flower appliqués. Scoop neckline. Adjustable spaghetti straps. Tie detail at straps with hanging tassels. Cutaway back. Shell: polyester. Lining: polyester/spandex. Imported.